Tuesday, April 26, 2016 :: Is Thermage really effective? Come 2017, I will be taking my first step onto an alley filled with beautiful blooming flowers and lited candles into a wedded life. Since young, I have always thought I will be able to get married young, and have kids at a young age. Who knows, life don’t always point you to the direction you dreamed of as a kid. I am getting married at possibly 28 years old, possibly giving birth when I hit the big 3, this is no joke, I have fallen 5 years behind my young-wife-young-mother dream. To add on to my horror story, hectic work schedules juggling running an online e-commerce site, a brick-and-motar retail boutique, keeping up with being a content creator and wearing the hat of a real estate salesperson gives me a whole load of unimaginable stress – to put into retropective how hectic my work life is, sometimes I go home battered and bruise from the daily war and feeling I have aged 10 years. 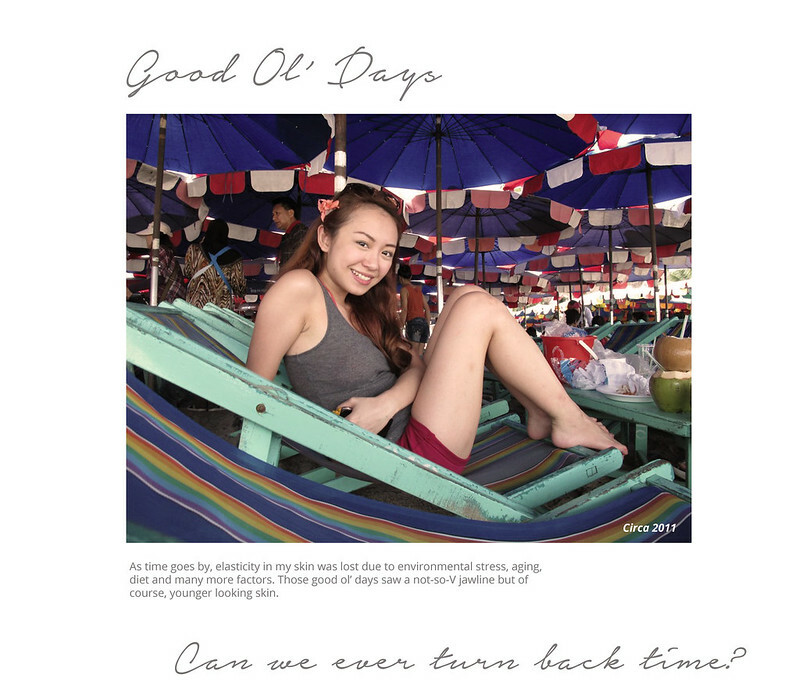 I have seen days where the woman looking back at me in the mirror seemed to look so sunken, so tired, so….old. Gone were the days where people will underestimate my age. Can you just imagine in my early mid 20s, people guessed I am just a 18-19 student? Man, golden times I call it. To think I used to scoff at that and hoped people can correctly guess my real age. With the marriage plans pushed back, and back and back again (due to life-changing decisions - I will leave that for another post when the time is due), I am determined to cheat time with a youthful and photogenic look all while ageing gracefully. Being thrown into this world where companies line up at the door throwing treatments, both invasive and non-invasive at our feet in return for a review or should I say treatments at a “media rate”, a wide selection of treatments are at our disposal and being addicted to a perverse self-standard of beauty means chasing after treatments never knowing when to stop. In my humble opinion, there is a very fine line between carefully choosing treatments for maintainence and going for treatments because “sharp” is never “sharp” enough. At the latter, that is where addiction starts and one stand dangerously on the edge of overdoing it and looking like a barbie doll – so perfect, so…unreal. My first ever fillers and botox experience took place in June 2013 where I had fillers injected into my chin, nasolybial and cheeks, and a very small amount of botox at my jaw. Nothing was done to any other parts of my face because I don’t wish to and I think there isn’t a need to. Thermage is a safe, non-invasive procedure that is clinically proven to help smooth, tighten and contour skin for an overall younger looking appearance. So how does it work? With aging, the collagen in your skin will break down resulting in wrinkles and sagging skin. Thermage uses patented radiofrequency (RF) technology to safely heat the deeper layers of your skin, stimulating existing collagen and promoting new collagen growth of younger looking skin. You can understand more about Thermage with a video here that I did with the help of IDS. Now, let me just fast forward to the days after Thermage. A week passed and I did not see any difference, or so I think. Soon, a month passed and I started to receive comments like “Tricia, did you slim down?” and “Tricia, did you do something to your face? Your jaw line is very sharp”. That was when I began to notice that my photos seemed to show a very defined set of jawline. To be very accurate, I only first noticed it 5 months after the treatment at a closed door exclusive event with L’Oreal Professional event where I had the opportunity to meet Yoon Eun Hye. Candid photos taken of me by the press team at different angles showed a very sharp jawline – and I looked good at most of the photos (which is hardly the case with candid photos). I thought, where in the world did this jawline came from! And that was when I realized the effects of Thermage has been subtly but progressively showing on my face. By that, I mean the production of new collagen had reduced my lines, achieved cheek and jaw-line lifting. So how long will Thermage last and how many treatments do I need — Results will typically stay up to one year or even more depending on the individual. With Thermage, there is no further need for Botox to achieve significant results even though the level of heat sensation used on me was quite low (more on that later). Is it painful — I will be lying if I say I do not feel anything throughout the procedure. It does feel slightly heated at one point (especially the sensitive areas) but it is not a biggie. When the treatment device touches the skin, there will be a brief cooling sensation followed by deep but brief heating sensation accompanied with a gentle vibration sensation (for comfort), then followed by yet another cooling sensation. The heating sensation is a good sign that the deeper layers of your skin are reaching effective temperatures for collagen remodelling. Throughout my entire procedure, my doctor constantly asked me for feedback on the level of heat sensation while tapping my shoulders to distract the sensory receptors in my skin so "pain" is not concentrated at a single site. I have heard of patients whom are able to take level 4.5 but I was only able to do 2.5 heh. When will I see results — You may be able to see instant results. However, results may be more visible over time in the course of your body's natural collagen rebuilding process. When that happens, you get even tighter skin, more sculpted jawline and lesser lines. For most patients, results appear gradually in the course of two to six months following a single treatment session. Results can last for years depending on your body's aging process. Where can I get Thermage done — My Thermage was done at my favourite clinic. It is important that you look for a good doctor to perform the treatment for you. Thermage is safe when conducted by an experienced and licensed professional. There have been cases of overheating when the operator does not know how to control the heat judging the patient's response and threshold during the treatment. Is there any need for maintanence — There is no special care needed after Thermage treatment except for your usual skincare routine. This is because Thermage is a safe, effective and non-invasive procedure. You will be able to return to your daily activities with almost no downtime. That being said, a good skincare regimen is highly essential to ensure the external layer of the skin is kept healthy to be able to serve as a protective barrier against environmental stresses. 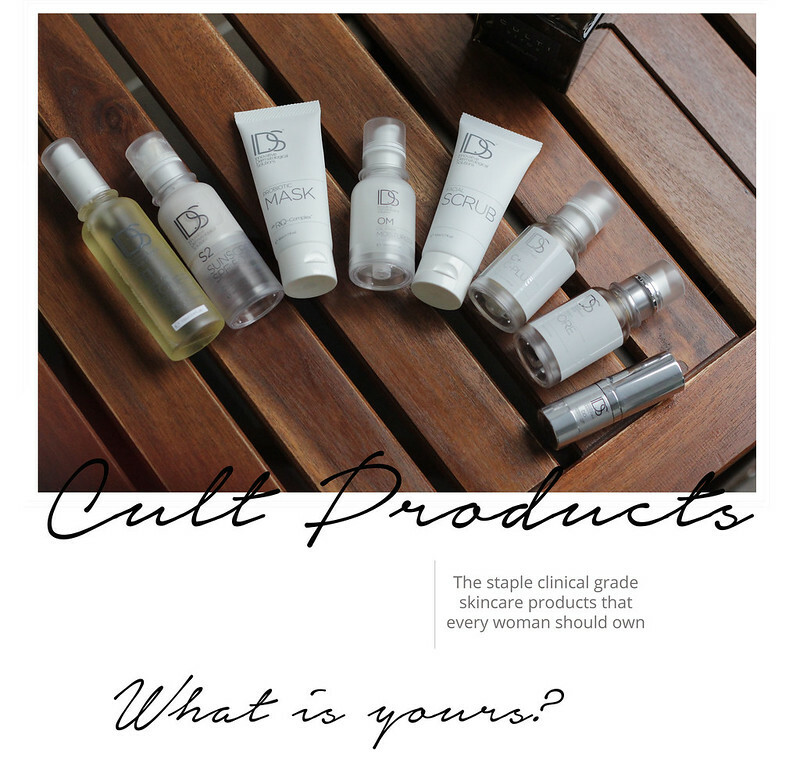 The skincare products I use from IDS range are Cleansing Gel (discontinued), Gentle Cleanser, Facial Scrub, C-PLUS, Pore, Oil-Free Moisturizer, Intensive Moisturizer, T1 Toner, Probiotic Mask and Non-tinted Sunscreen. These are the products I swear by. Whenever my face gets all red and sensitive from trying out new products for reviews, I will always go back to IDS products to bring back the balance to my face. By balance, I mean my expectation on radiance, suppleness, tautness and hydration. So that's all for a long Tuesday night post! 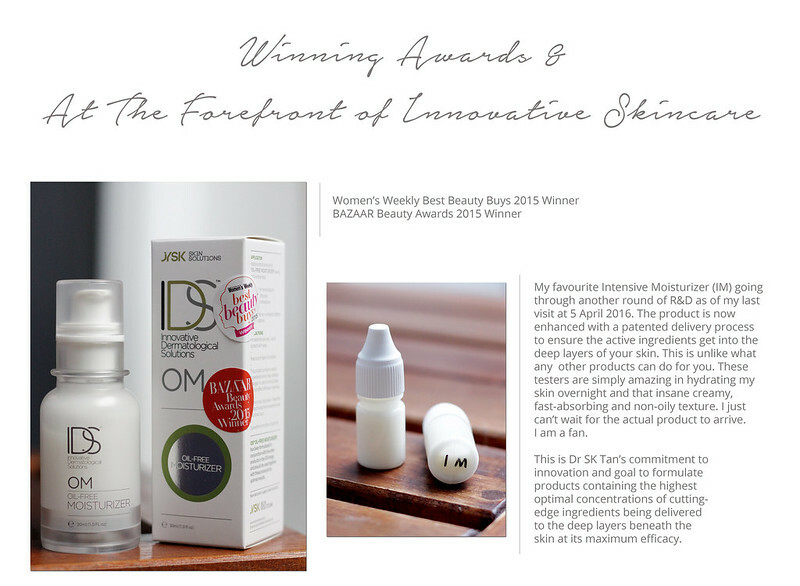 If you are interested to purchase IDS Skincare, you can email JYSK Skin Solutions at sales@jyskskinsolutions.com or head down to their affiliated seller to make a purchase. Till the next post! People always talk about lines and wrinkles. However, one thing no one tells you about growing older is that you start to lose facial volume as you age (especially when you are entering the 30-year-old zone). This is one of the reasons why people go for procedures like fillers. Fillers do exactly what they are named for. They simply fill up the “empty valleys” beneath your skin and viola! It appears you have more facial volume (just like younger days) and your skin looks more supple and taut instead of dry and tired looking. Now imagine having a product which is able to do what “fillers” are able to do minus the invasive procedure. By harnessing the use of concentrated hyaluronic acid, it supplies a concentrated amount of moisture into the skin which plumps up your skin and smoothen facial lines, doing what fillers will do for you. Sounds too good to be true? I thought so too, but not until I tried it for myself. Like I have mentioned on one of my snapchat videos where I shared about my skincare routine overseas, I know a good moisturizer (at least for me) when I use one because of how sensitive and dry my face is. 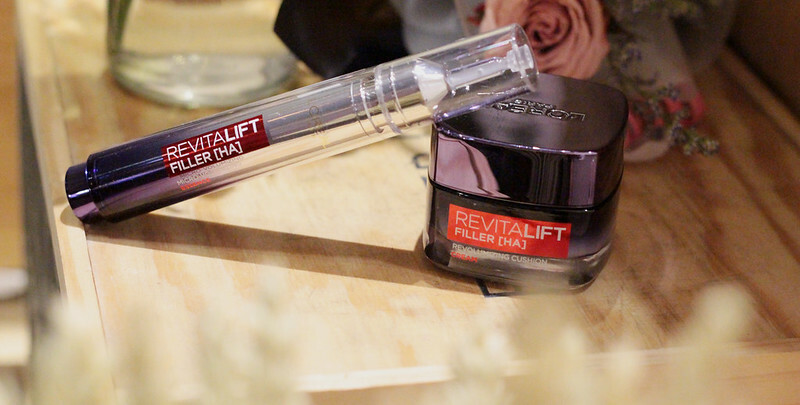 The amazing products that I am talking about are the new anti-aging products from L'Oréal Paris – Revitalift Filler. It is the first skincare inspired by filler procedure to restore facial volume and it consists of an essence and a moisturizer. 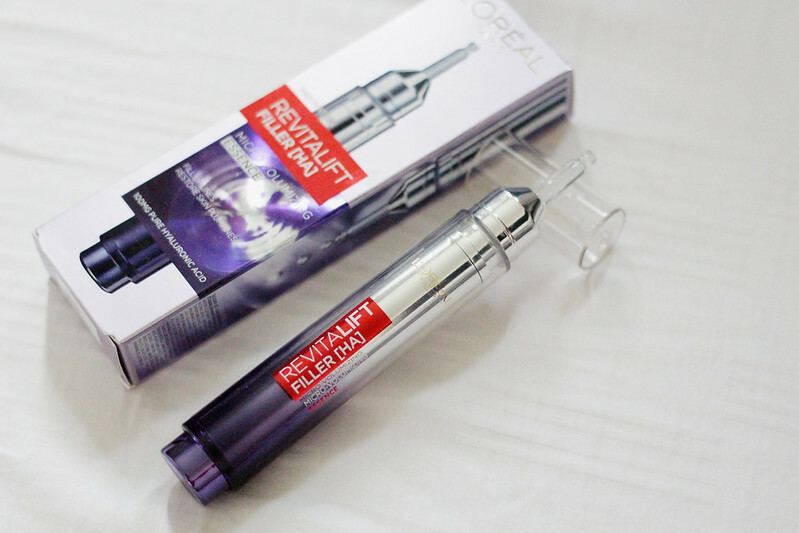 The Revitalift Filler Renew Hyaluronic Replumping Essence is shaped like a syringe and delivers the optimal amount of essence. However, I do admit I require more pumps on each side of my face but that is a small issue – well I rather a product that dispense an appropriate amount than too much so no complaints on that. Something that I will like to highlight is the application method. I apply the essence on 4 key areas where I need the volume and smoothen my fine lines. Simply push the top button to dispense the appropriate dosage of the serum onto your hand first and apply the product on your cheeks, chin, forehead and laugh lines (nasolabial). I like to dispense a few more pumps on my cheeks and my nasolabial lines where I would appreciate more volume. The texture is very smooth and easily absorbed. I like that it is non-greasy and has a light fragrance to it. My skin also feels more nourished and radiant instantly upon application. Due to the action of concentrated hyaluronic acid on the skin, I felt a tingly sensation upon application which became cooling after the first few seconds. The science behind it is using nanoparticles of Hyaluronic acid in high concentration so it is able to fill out the skin “valleys” without any invasive procedures. Let me try to explain this in layman’s terms. Hyaluronic acid is a huge molecule that doesn’t always get delivered into the skin easily due to the challenge of penetration through the skin. So the nanoparticles of Hyaluronic acid will be very much smaller and be able to reach the dermis to volumize your skin. I can attribute the tingly sensation to the effects of Hyaluronic acid penetrating into my dermis and working its magic in there. 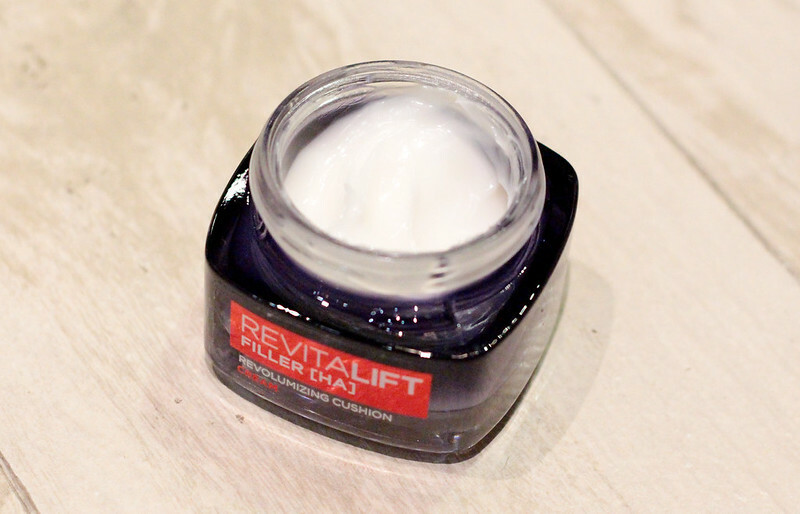 When coupled in use together with Revitalift Filler Revolumizing Cushion Cream, it gives a plumping effect and your skin will be visibly smoother just after one application. In fact, I don’t need to take 2 weeks to use these two products before writing this review because the results is instantaneous. I slap a ton of the day cream onto my neck areas and the look of the few lines on my neck is not so visible just after a single use which is amazing for me. This product very moisturizing for me and I actually used it every night during my 10 days trip to Japan in its winter. It is very moisturizing, much like a thick cream but it is non-greasy and it absorbs well leaving a poreless and smooth appearance. 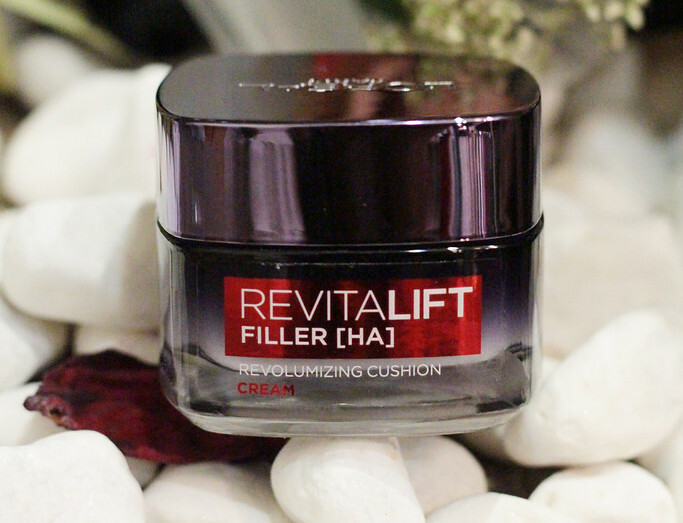 On method of application, I simply use the Revitalift Filler Cushion Cream after Revitalift Filler Serum! Simply apply it all over your face like you would for a moisturizer and gently massage it into your skin in circular motions. Here's a tip, I like to massage my face, jawline and neck with gentle uplifting motions so it creates a "lifting" action. You can do that while massaging your product into your skin. Just remember to be gentle and not tug your skin downwards! The results of incorporating L'Oréal Paris Revitalift Essence and moisturizer into my routine is the immediate effect of seeing how supple my skin became and “plumped up” it looks even though I did not get a well-rested night. More importantly, it actually reduces the look of a couple of lines on my neck as mentioned above. I slap on a lot of moisturizer on my neck daily but it is nothing like what this product can do for me – it reduces the look of the lines by the “filler” action it promises. 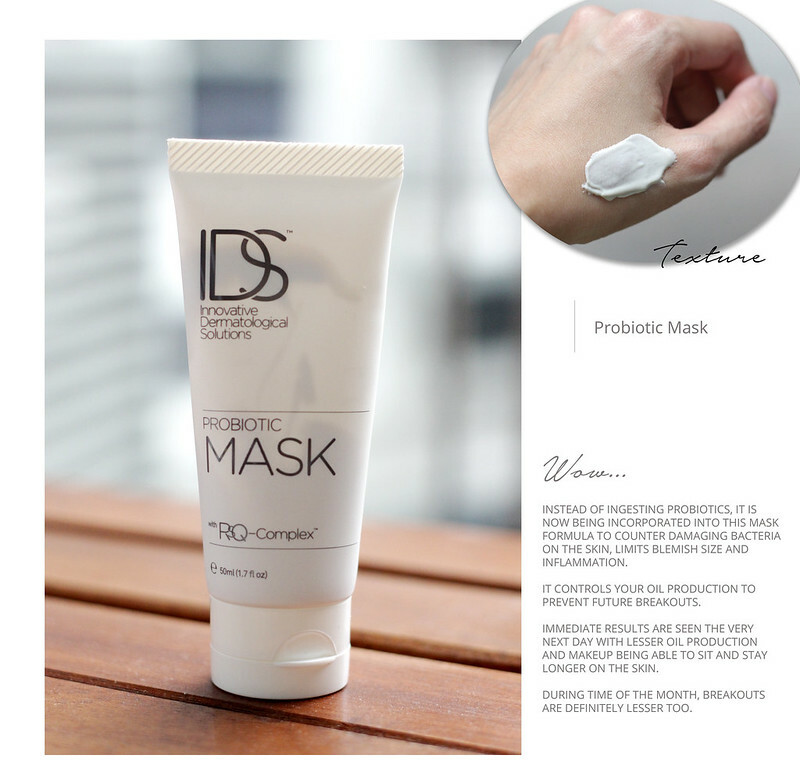 It actually boost your skin’s moisture content so it looks fuller and healthier. Amazing? I think you have to try it for yourself to believe it. It is now available in major retail stores, do check them out!